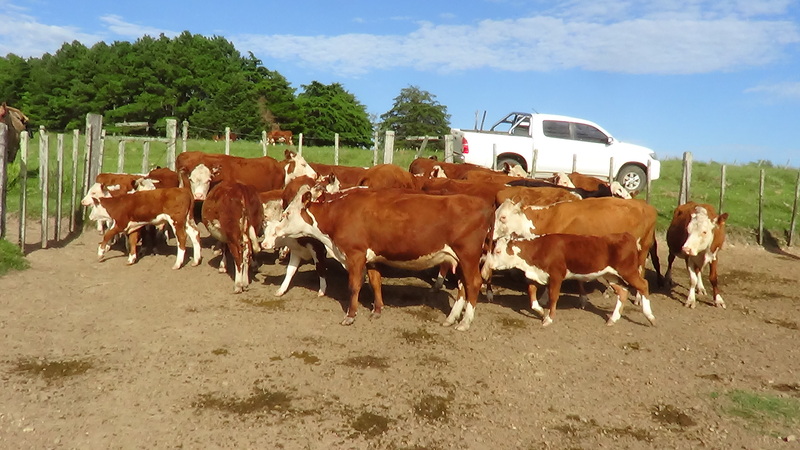 LOTE DE P/C POLID HEREFORD SOLA MARCA DE ESTANCIA, CON CONSISTENCIA GENÉTICA Y AÑOS DE SELECCIÓN. GANADO LARGO CON MUY BUENAS CARCASAS COSTILLUDOS Y CON CUADRILES BIEN AMPLIOS. CRIANDO MUY BIEN SUS TERNEROS. SIRVEN COMO VIENTRES PARA PRODUCIR MUY BUENAS TERNERADAS, O PARA INVERNARLAS; CUANDO SE LAS TERMINEN VAN HACER UNA INVERNADA MUY PESADA. LOS TERNEROS SON 10 MACHOS Y 7 HEMBRAS. 11 1/2V LOTE RECOMENDADO.